Harrington Lawyers is a law firm designed to attend specifically to the requirements of the major players in the construction, property development, civil infrastructure and planning industries. The firm is positioned to service projects in New South Wales, Victoria, Queensland and Western Australia and has the capacity to handle any Australian project from conception through to planning approvals, construction implementation to completion and handover. Our lawyers and consultants have been involved in construction and major projects for over 20 years. Having staff and consultants with qualifications and professional experience in law, construction, project management, property development and planning, the firm is well qualified to advise clients on any project, utilising a multi-disciplinary approach, while appreciating technical and commercial objectives. We encourage our lawyers to keep up to date with the expanding range of law by reference to the firm’s extensive contract and construction law resources and their attendance at relevant professional seminars and workshops. 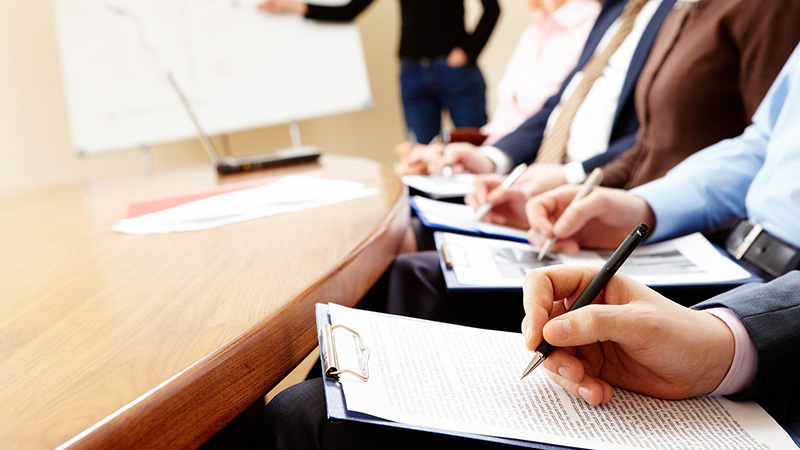 Harrington Lawyers can provide tailor made training programmes to suit your company’s individual needs. Who better to turn to for property development advice than experienced property law lawyers from a legal firm that also develops its own property investments? Harrington Lawyers advises and represents developers in obtaining planning approvals and can guide you through every legal step necessary. Each state has its own property laws with nuanced differences, through which Harrington Lawyers are able to guide you. Having traditionally been affiliated with development projects as developers, we understand the pressures and business considerations you face. We are here to ensure that all aspects of your development are soundly covered from development approval through to completion of the project. Harrington Lawyers has an in-depth understanding of the planning system and the development application process and can guide you through the development cycle and provide you with the legal resources necessary successfully to manage a project and give you piece of mind. Harrington Lawyers handles the sale and acquisition of commercial property, commercial and retail leasing and property development and advises its clients on a full range of legal issues associated with property law. Our practice has wide transactional experience across Australia, and are recognised for having some of the best property lawyers Melbourne and best property lawyers Perth. Harrington’s commercial property lawyers have handled the sale and purchase of various CBD office buildings, industrial properties, shopping centres and future residential development property. Our practice is here to assist you in interpreting the National Construction Code, which incorporates all on-site building and plumbing requirements into a single code. The NCC sets the minimum requirements for the design, construction and performance of buildings throughout Australia. Harrington Lawyers can also mitigate in matters related to the Australian Procurement and Construction Council, whose 11 member agencies are responsible for procurement, construction and asset management policy for the Australian, state and territory governments. Our property development lawyers can also guide you in matters pertaining to the Australian Building Codes Board which is responsible for developing and managing a uniform, national approach to building codes and building standards through the National Construction Code (NCC) Series, and the development of effective regulatory systems. We are also able to advise on Commercial Building Disclosure (CBD) that requires energy efficiency information to be provided in most cases when commercial office space of 2000 square metres or more is offered for sale or lease. We provide advice on compliance issues for those wanting to develop commercial office space and can liaise with the Department of the Environment and Energy on your behalf. 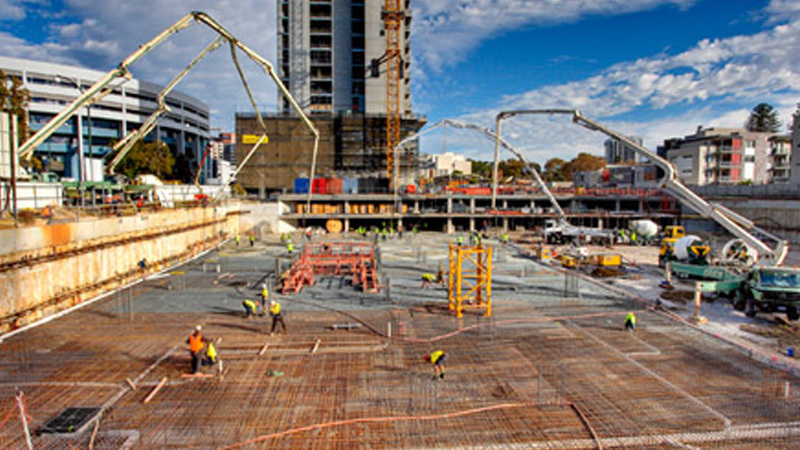 Our lawyers are here to assist you in applying for Australian Building and Construction Commission ABCC Letters of Compliance that ensures your development works in accordance with the workplace relation’s framework to ensure that building work is carried out fairly, efficiently and productively. Development applications are required if a development is considered an “assessable development” under the Sustainable Planning Act which may differ from state to state. Harrington Lawyers are here to help you find out if your development is an assessable development in accordance with the specific local government planning scheme particular to your location. Selecting the site requires research and due diligence to ensure, for example, environmental laws are not compromised. A dedicated property lawyer can be assigned to you to overlook these details, including ensuring due process on feasibility studies has been completed correctly and checked to ensure the concept complies with Australian property laws, as must the negotiation of contracts. Harrington Lawyers are there to assist you in understanding the funding options and how these might pertain to town planning and the development application process. Harrington Lawyers keeps a sharp eye on any changes to the Land and Environment Planning (LEPs) policies across NSW and around Australia. Some developments, especially in Queensland can be exempt from requiring development approval. Our property lawyers Brisbane can advise you on development approvals for new houses, additions and alterations to existing houses, and some smaller projects like pergolas, carports and fences can be exempt as long as they meet certain requirements. Land is often “zoned” for different uses. Harrington Lawyers can help you find out about how your land is zoned and can advise you on applications for developments on unleased land nature strips or verges in front of property. Harrington Lawyers carefully scrutinises all of our clients Development Approvals before they undergo completeness checks by the governing authorities, such as the Planning and Land Authority who check to see whether all the necessary information has been provided in your application. Harrington Lawyers ensure that a plan of management for any public land and the likely impact of the development, including any environmental impact have been attended to properly before submission, saving you time and money. If your development is located in an established area you are strongly encouraged to consult with your neighbours during the design stage to ensure the development proposal considers all of the issues that might arise. Harrington Lawyers can assist you in advising you on how to handle these matters correctly. Even though neighbour consultation is not statutory it is encouraged and should occur before a Development Approval had been lodged with the Planning and Land Authority. All development applications need to be publically notified. If your proposal requires minor notification, letters will be sent to the neighbours adjoining your property advising them of your application. Harrington Lawyers ensure all the details are carefully and methodically taken care of. Over many years our lawyers have gain a wealth of experience in processing planning appeals for our clients and have been party to various appeals as a developers ourselves. We can supply you with a dedicated property lawyer who is equipped with the experience and resources needed to proficiently assess a development and its potential in order to help you maximise opportunities for timely and correctly handled development approvals. We provide clients with up to date advice on environmental and planning laws and we can effectively action appeals of development refusals. We advise our clients from the inception of development projects right through to the final delivery of the project. This includes assisting in the acquisition of a development property and the associated purchase contracts, options, joint venture agreements and obtaining development approval. On your behalf Harrington Lawyers can negotiate with the local Council and afford you legal representation at Council meetings. We have a wealth of experience in processing all types of development approvals, including residential, commercial and industrial developments. When you buy a property your rights depend in large part on what is in the contract for sale. And because no two properties are the same, no two contracts will be the same either. However, there are some things a contract for sale must do, including properly identifying the property as well as the terms on which it’s being sold. Harrington’s property lawyers are here to safeguard your interests and to ensure all the relevant documentation is in order. We ensure that zoning certification, and drainage diagrams showing any sewer lines are present and accounted for, as well as a copy of the property certificate and a copy of the plan for the land as well as copies of any documents showing easements (the right of someone else to cross or use the land), rights of way, restrictions, covenants, etc. Harrington Lawyers can also assist Sellers of strata properties (generally units or townhouses) to ensure all the documentation necessary is in place, such as a copy of the property certificate and strata plan, and a copy of all the relevant by-laws concerning the use of common property. Many of the terms in any contract for sale will be ‘standard’ ones, which means that they have been in use for a long time and are fair to both the seller and the buyer. However, a seller does not have to include these terms and instead may choose to include something in the contract, which favours himself or herself at a buyer’s expense. 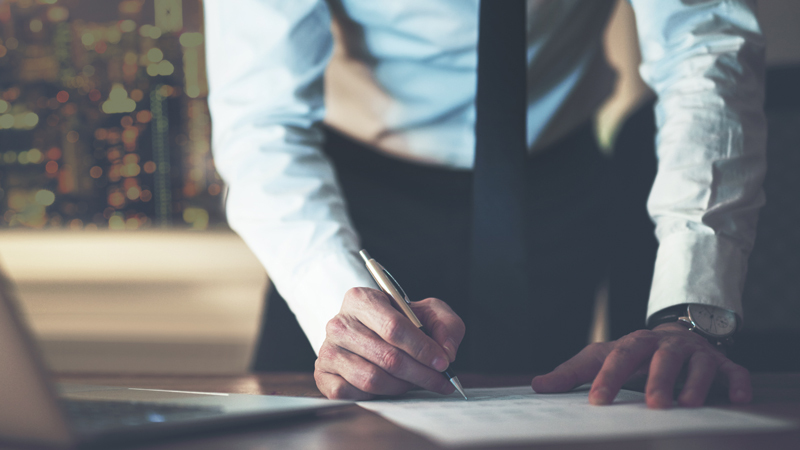 Harrington Lawyers is here to help ensure that the contract for sale is not just legal, but that it is also not unfair towards you. Where a clause is not in your best interests, our practice will negotiate with the seller’s solicitors to get it changed. This includes working out a time to ‘settle’ the sale, which is when you will pay the balance owing and take ownership of the property. Because the buyer is expected to take the property ‘as it is found’ this means you will also sign up to any structural problems, pest infestations or other structural defects that might not be obvious to the naked eye. That is why it is always best to have Harrington Lawyers look over the proposed property purchase deal first, potentially saving yourself thousands, or even tens of thousands of dollars of bother further down the road. As lawyers specialising in property law we can check whether the contract includes a compliant survey, a building certificate, or homeowner’s warranty insurance certificate for any renovations done at the property. Our Residential property lawyers are here to guide you through every aspect of residential home purchases in order to safeguard your best interests. Details like whether or not the property will be sold ‘in the state you find it’. This also means any ‘fixtures’ are automatically included. A fixture is anything that cannot easily be taken away without doing damage to the property. For examples, stoves are usually fixtures because they are wired in, whereas fridges are not because they only need to be unplugged. Sometimes a seller will attempt to exclude a fixture from the contract of sale. What counts as a fixture is sometimes not so clear-cut. For example, removable floor coverings or an above ground pool. Where anything is in doubt, it should be expressly included in the contract for sale. Harrington property lawyers Melbourne can ensure that you know everything that is included in the sale, is really included. To buy a property most people will need to take out a mortgage. A mortgage gives a lender rights over the land for which they are lending money, including the option of selling it if you default. Harrington Lawyers can help you make sense of what your obligations are under the terms of the mortgage, including whether you will be penalised for refinancing or paying out your loan early. When you buy a property with another person, there are usually two ways you can choose to own it. Most couples choose to buy as Joint Tenants, which means they own the whole property jointly and if one person dies the other is immediately entitled to the whole property (regardless of what any Will might say). At an auction, exchange happens immediately after the winning bid is accepted. For private treaty sales, exchange usually means that you will deliver your signed contract to the seller’s agent and pick up the seller’s signed copy. Our property lawyers can help mitigate breached sales contract issues. Sometimes you will be able to get out of the contract for sale and get your deposit back, even when you have signed the contract for sale (and that includes when you have bought a property at auction). For example, sellers must always comply with the ‘Vendor disclosure requirements and warranties.’ These rules force anyone selling a property to let prospective buyers know certain information about the property that they are selling in the contract of sale. This includes making promises about the property and attaching certificates that reveal such things as any rights of way, drainage and zoning. Harrington Lawyers are able to advise you on whether the seller has not complied with these requirements and whether you are able to recover your money and pull out of the contract.